Today, primary runoff elections could affect legislative representation in nearly 200 Oklahoma school districts. In fact, six seats will be decided today because there is no general election. Republican primary runoffs for governor and state schools superintendent are also on the ballot. Our schools -- our children -- need officeholders who value public education. 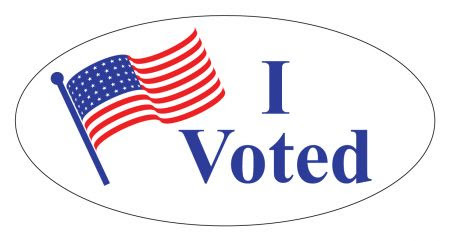 Please remember to vote today. Please remind your colleagues, family members and friends to do the same. Call them. Text them. Email them. Remind them on social media. Remember, school districts can also use the district and school messaging systems to help get out the vote as long as you don't encourage patrons to cast a specific vote for a party or candidate or yes or no on a specific issue. We have many resources on our 2018 Election webpage, including elections and advocacy guidance, sample get out the vote election messages to use with your school messaging systems and an interactive list of legislative races in today's primary runoff sorted by school district. Thank you for helping get out the vote!